Maldives for the United Nations Security Council 2..
- The Republic of Maldives is seeking candidacy for a non-permanent seat at the United Nations Security Council for the term 2019-2020, at the elections, which will take place during the 72nd Session of the United Nations General Assembly in 2018. - This is the first time in its 51 years of UN Membership that the Maldives has presented its candidacy for a non-permanent seat at the UN Security Council. The Maldives believes that every country should have an equal opportunity to serve in any organ of the UN. - The Maldives put forward its candidature on 30 January 2008: ten years before the election. - The Maldives seeks to bring a fresh and unique perspective to old challenges. - The Maldives believes that non-traditional security threats are as important if not more, than traditional security threats, in today’s world. The Maldives also believes in multi-dimensional approaches to solving issues. - Despite its size, the Maldives has always punched above its weight on the international stage. - It has been a staunch advocate for climate change, and a champion of small States. 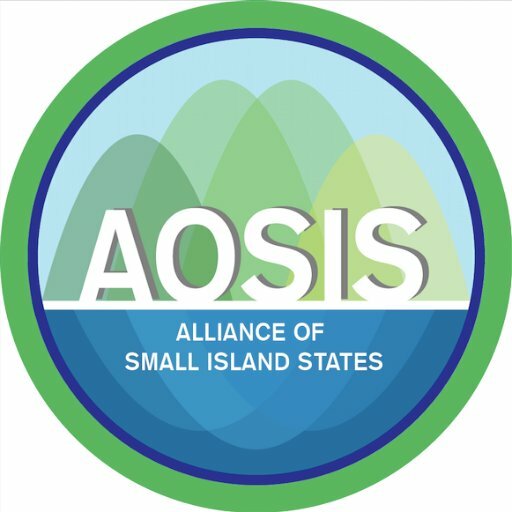 - Since January 2015, the Maldives has chaired the Alliance of Small Island States (AOSIS), a group it helped to form in 1990, leading the group of 39 member states of which 37 are UN Members, through landmark agreements on sustainable development, climate change, disaster risk reduction, financing for development, sustainable urbanization, and the follow-up to the SAMOA Pathway- the sustainable development programme of action for Small Island Developing States (SIDS). - The Maldives has, since 1987, played a prominent role in attracting global attention to the alarming consequences of sea level rise and global warming. In 1987, in Vancouver, Canada, the Maldives raised the issue of sea level rise at the Commonwealth Heads of Government Meeting. In 1989, the Maldives held the first international conference on small states and sea level rise. It hosted the first conference on the human dimensions of climate change in 2007. - In 2008, it led negotiations on the HRC Resolution 7/23 which for the first time in a UN resolution acknowledged the link between global warming and the full enjoyment of human rights. - The Maldives introduced key resolutions at the United Nations on the security of small states drawing the attention of the General Assembly on the vulnerabilities of those states to external threats, which were adopted as 44/51 of 1989, 46/43 of 1991 and 49/31 of 1994. - Following the decision to graduate the Maldives out of the category of Least Developed Countries, the Maldives advocated for, and secured smooth transition procedures for those graduating, including fairer assessment for graduation. The Maldives’ advocacy resulted in the inclusion on environmental vulnerability as an assessment criteria for graduation. - The Maldives has served on the United Nations Human Rights Council for two terms. In 2011, it was the smallest member to get elected to the Council. At the Council, the Maldives was a leading voice on human rights and fundamental freedoms, drawing attention to the effects of climate change on the full enjoyment of human rights. The efforts of the Maldives and many other like-minded countries secured the mandate for an independent expert and later a Special Rapporteur on human rights and the environment. - The Maldives has a long-standing position for disarmament and non-proliferation of weapons of mass destruction. It was a forceful advocate for the declaration of the Indian Ocean as a Zone of Peace, and has a principled, neutral position on non-proliferation. It was one of the early advocates for the Arms Trade Treaty. - The Maldives has long called for peaceful settlements of conflicts and violence. The Maldives has always prioritised peaceful means over military intervention, unless issues go beyond non-military interventions. - The Maldives rejects terrorism in all its forms and manifestations, and radicalism, including all acts of violence carried out in the name of Islam; for they are not only un-Islamic but anti-Islamic. - The Maldives as a Small Island Developing State believes that the Security Council’s membership should be representative of the membership of the United Nations. Since 1946, only 8 SIDS have served on the Council, out of the 135 elected members. SIDS constitutes 20% of the UN Membership. - Since 1979, the Maldives has been on the forefront of calls for reforming the United Nations Security Council, to make it more representative of the current realities of global order. The Maldives has also been a vocal advocate for more accountability, coherence, and transparency in its working methods.